The Red Dead Online beta is getting a batch new updates in the future, including a selection of various improvements the community has been asking for. So if you've been waiting for changes to come, it looks like it's your lucky day. With a new update that's live in-game now, Rockstar Games has added a slew of awesome new features to the online portion of Red Dead Redemption 2. Of particular interest are changes made to the law and bounty system, simpler parley and feuding systems, and upgrades to player radar blips and other location-based displays. Voice chat has been limited to near proximity rather than for players all the way across the map, and now aggressive players will be highlighted by a dot that will get darker as the player continues to perform hostile actions. This is essentially known as the game's hostility system, and your position will be easier to give away to enemies who deserve to know what kind of menace they're facing. You'll also be able to earn XP and Gold Nuggets for completing new Daily Challenges, a series of objectives that you'll be rewarded for when it comes to skinning animals, finding treasure, and winning feuds. You get 7 of them a day, and they'll rotate out on a daily basis. If you complete them all, you'll get a bonus. 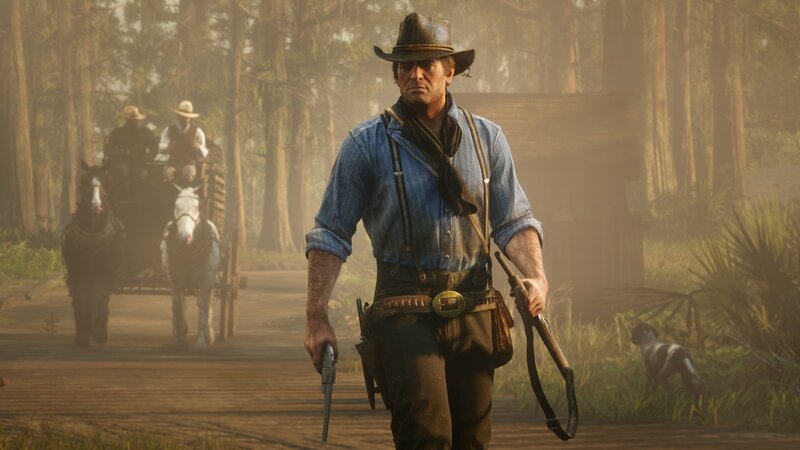 Starting next week, the other new features Rockstar Games has previously outlined in its updates will be coming as well, including the new Free Roam Event Fool's Gold, where one player dons a suit of Golden Armor, and others must take them down to wear the armor and be awarded a set of points for their conquest. There's also the selection of new clothing, new emotes, and the Rare Shotgun to use as well. In the future, the game will be seeing the addition of three new Showdown Modes, including Up in Smoke, Spoils of War, and Plunder, in addition to the Featured Series blip that makes it simpler to select these modes when jumping into the game. Red Dead Online continues to court additional improvements, so if you're thinking about jumping in, there's plenty of reason to do so now with all the cool new additions on their way. It's looking to be as full-featured as GTA Online at this rate.